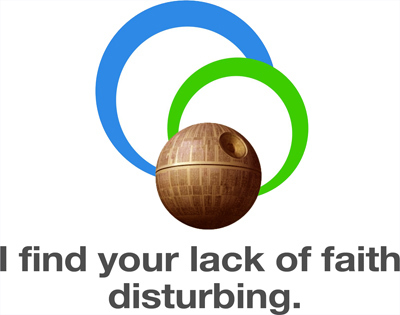 Some genius over at the Technology Planning Committee of the SHARE Library Consortium in Washington put together a parody of the OCLC logo, incorporating Darth Vader. 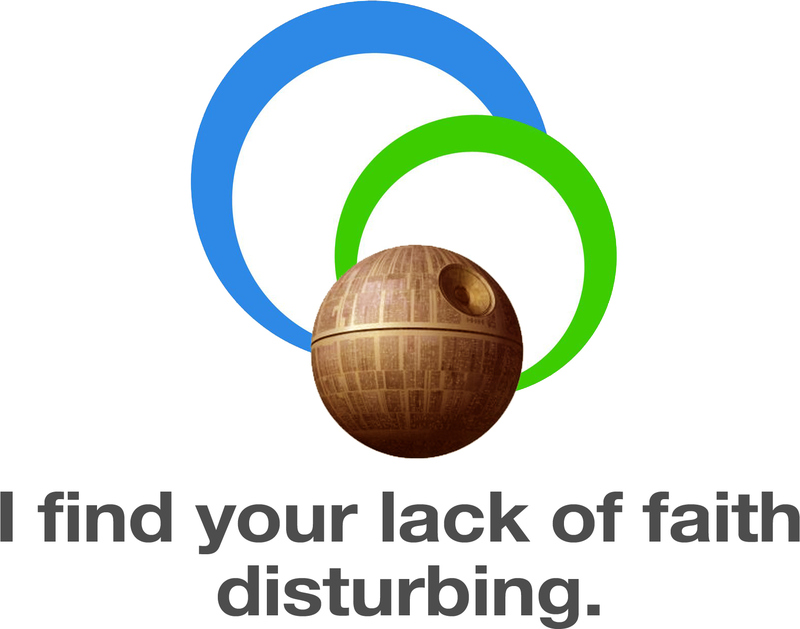 I’d like to think there were in part inspired by my transformation of the old OCLC logo into that of the Deathstar. Which got me thinking. 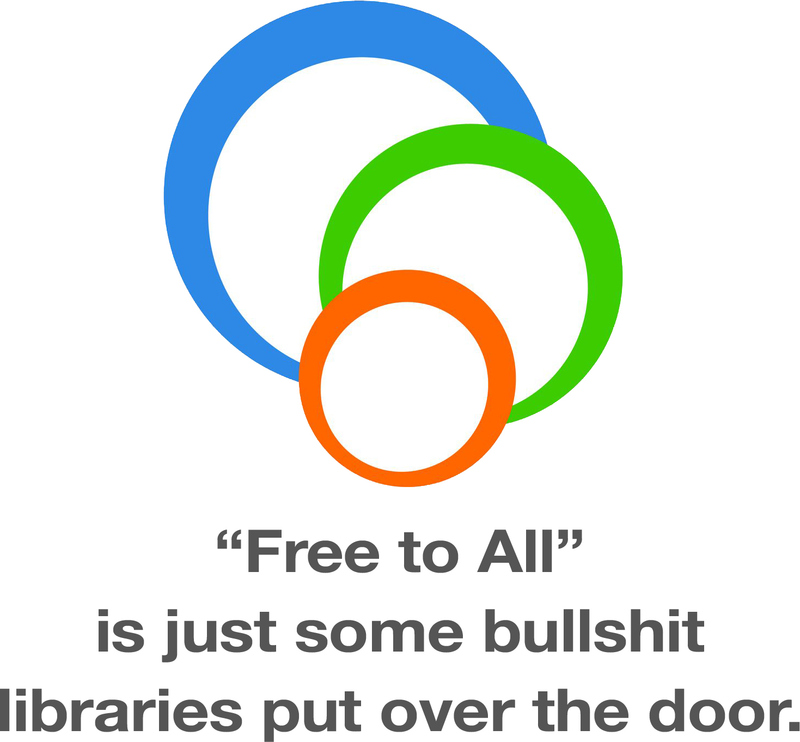 The muted response to OCLC’s new Policy is enormously frustrating. The Policy is the a major shift, taken with minimal member input, which effectively transforms an expensive transfer service into a permanent data monopoly. It runs against age-old library values, and in the face of everything else going on in the information world. There’s only so many posts I can write digging into the legal language. So, maybe the time has come for humor. 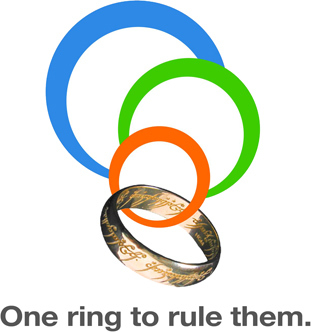 How about some new OCLC logos I put together? Wouldn’t they look good on t-shirts at ALA Midwinter? Well, that was a fun couple of hours! I just wish I could get the OCLC font just right.